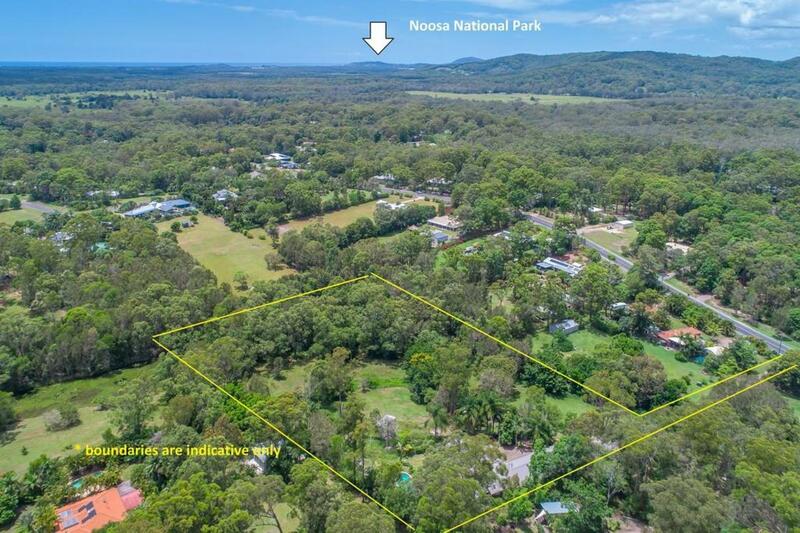 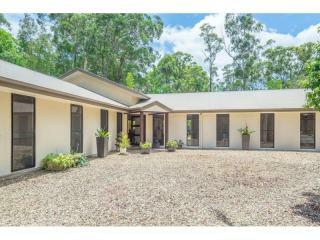 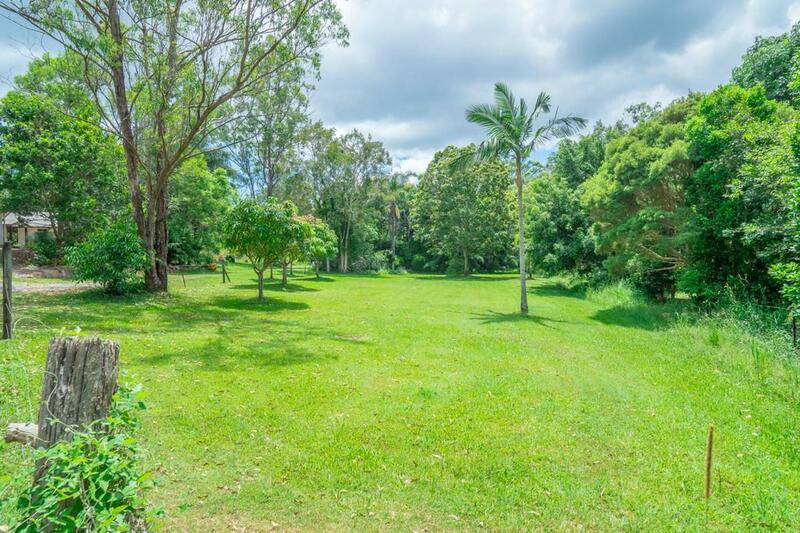 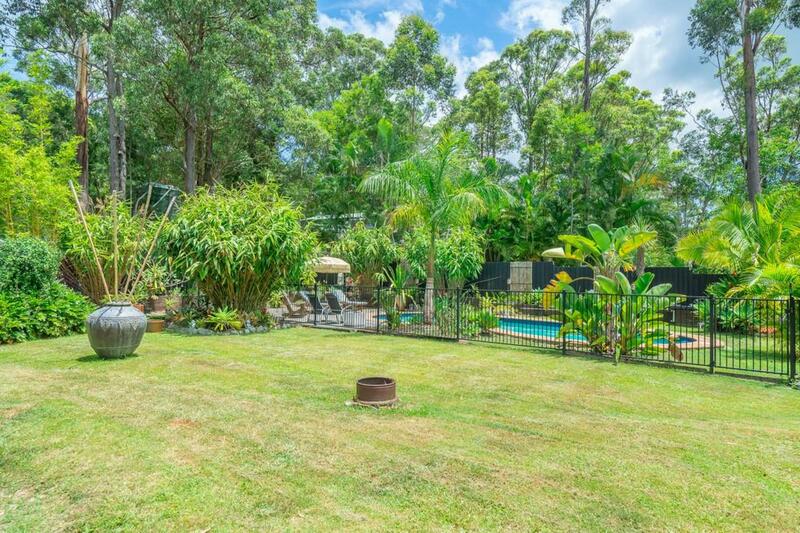 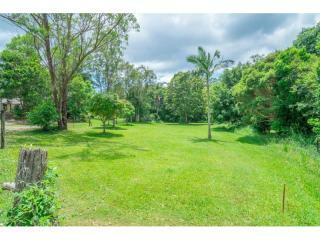 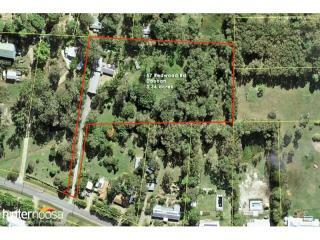 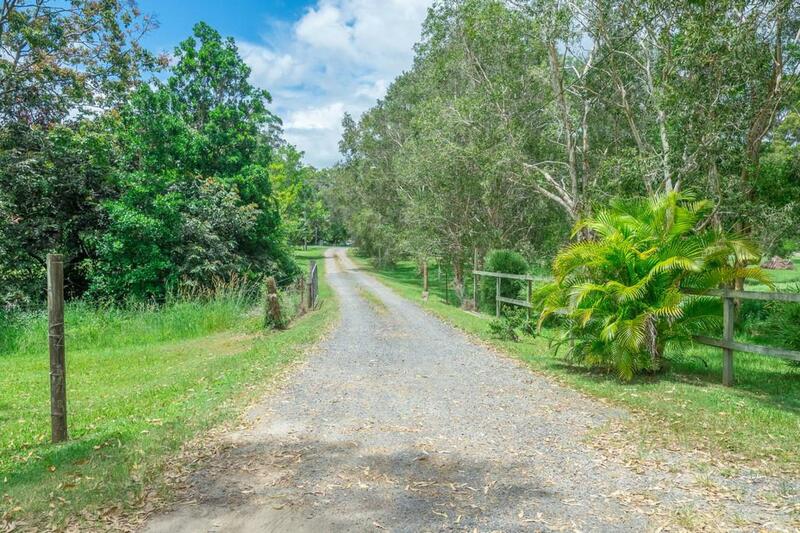 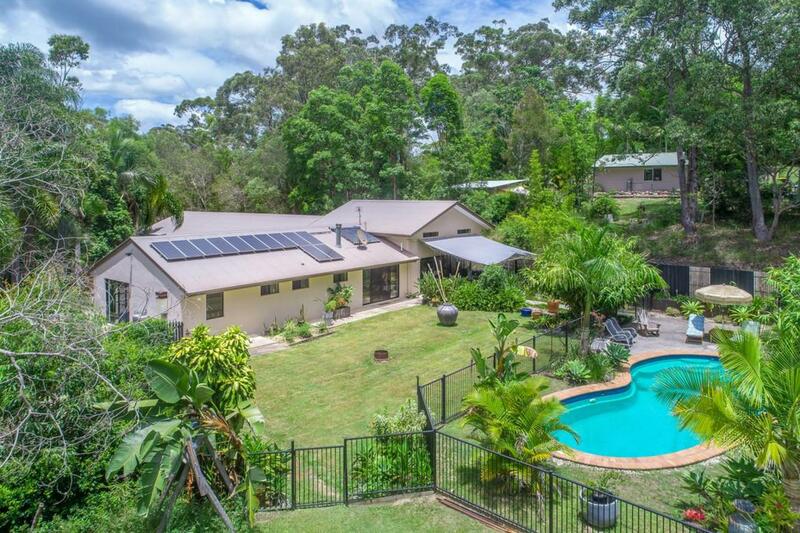 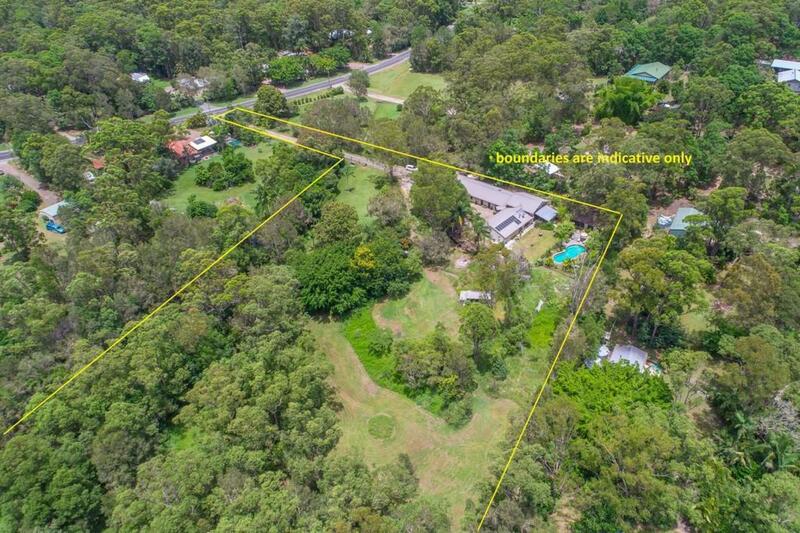 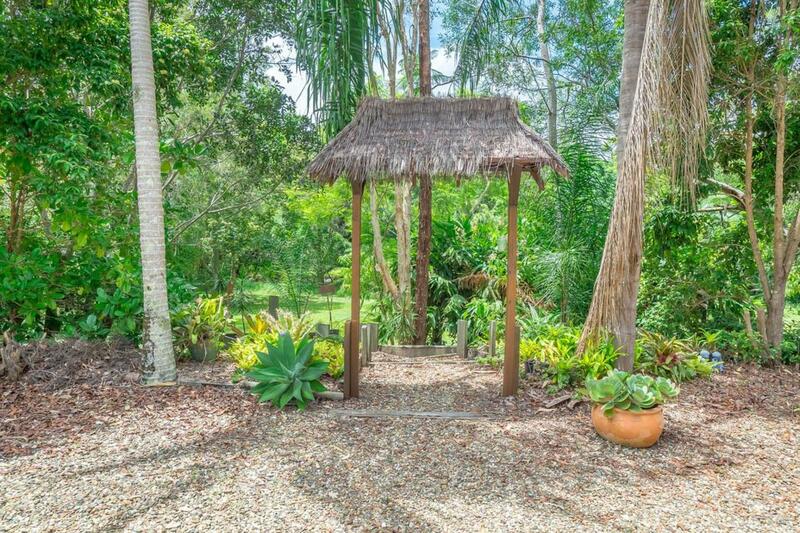 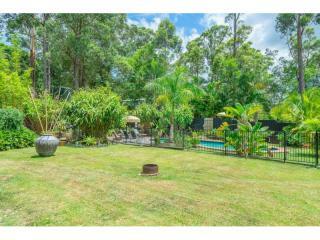 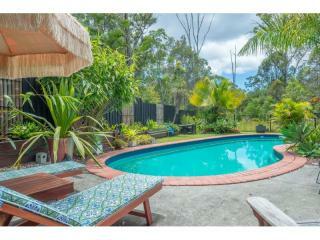 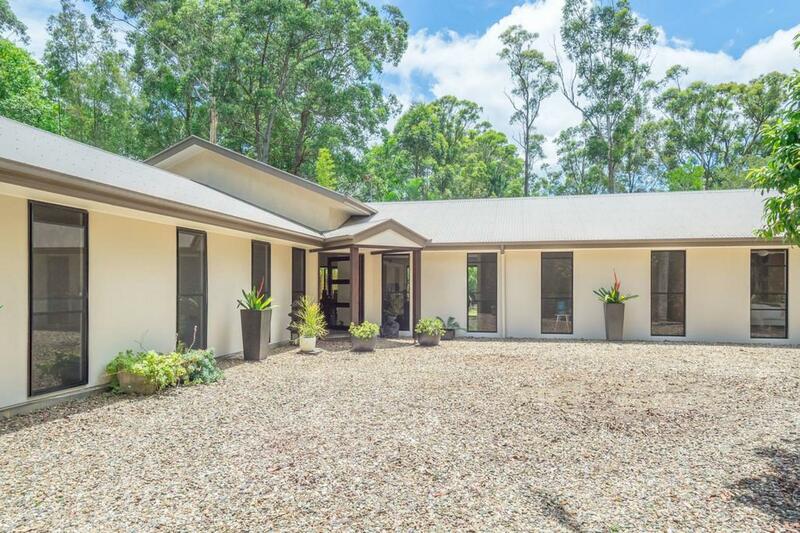 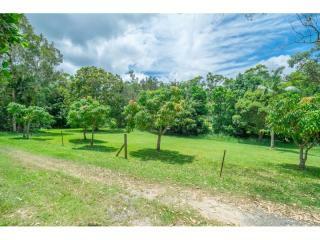 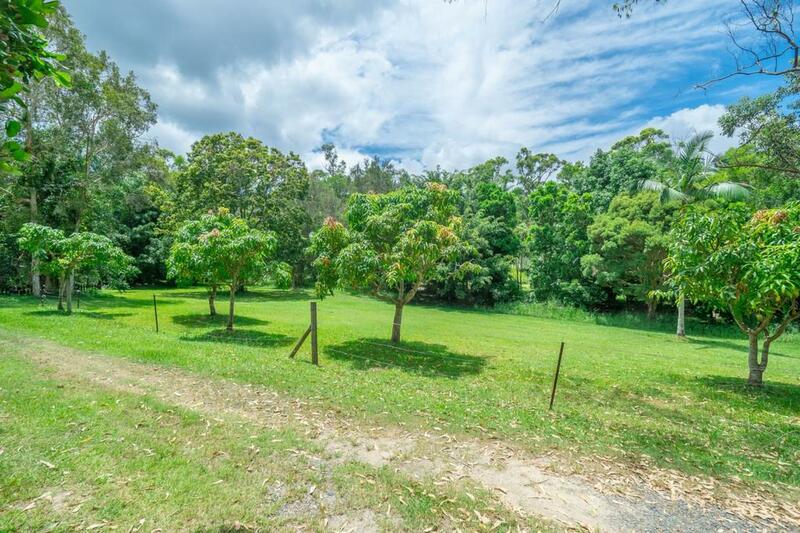 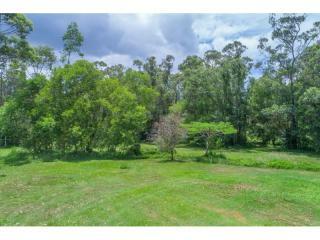 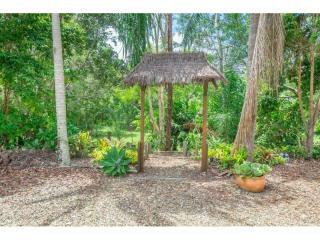 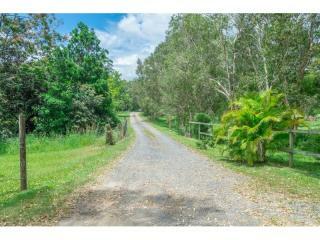 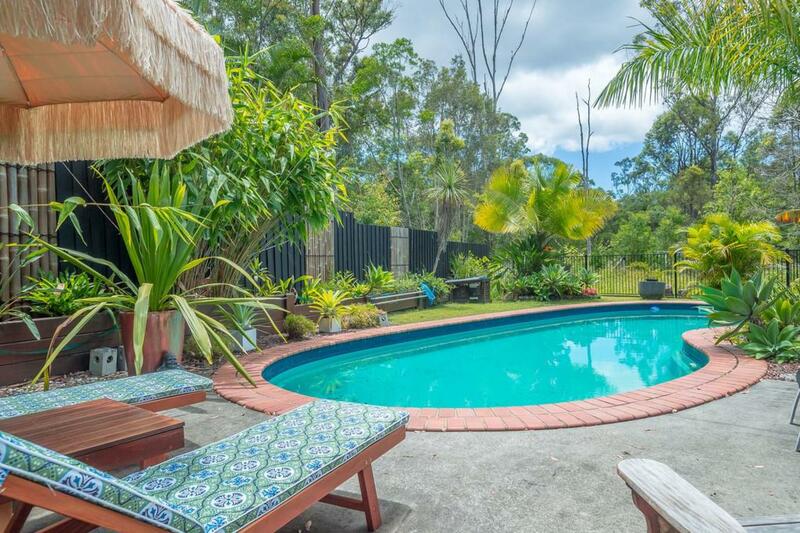 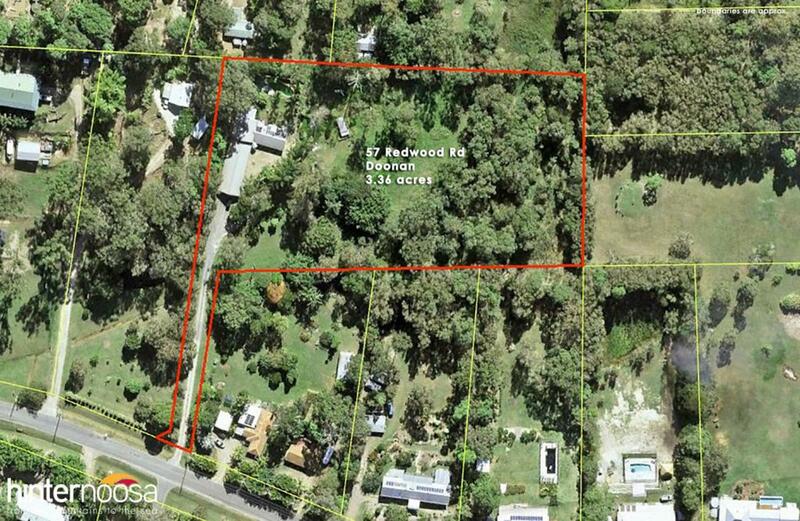 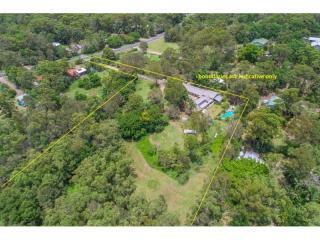 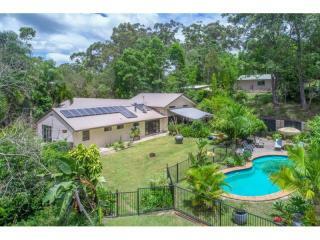 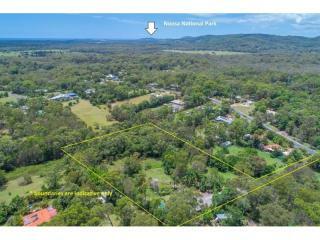 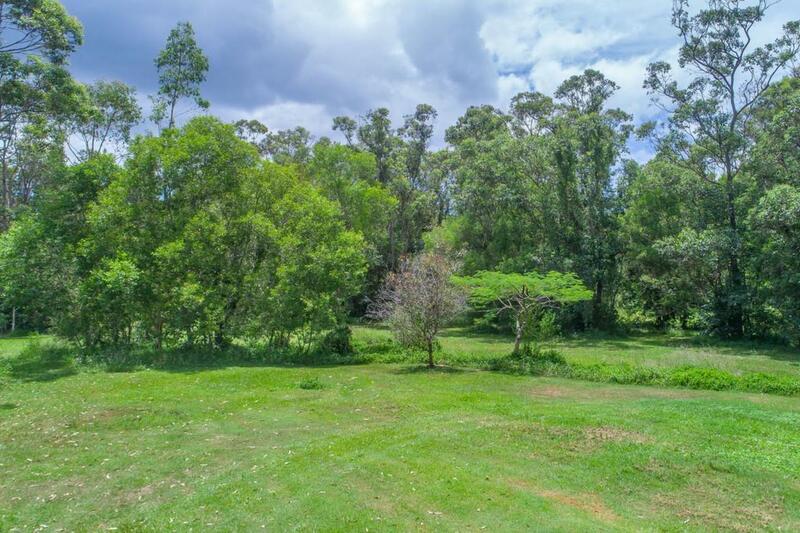 A lovely long driveway creates a natural privacy for this 3.4 acre property at 57 Redwood Rd, Doonan. 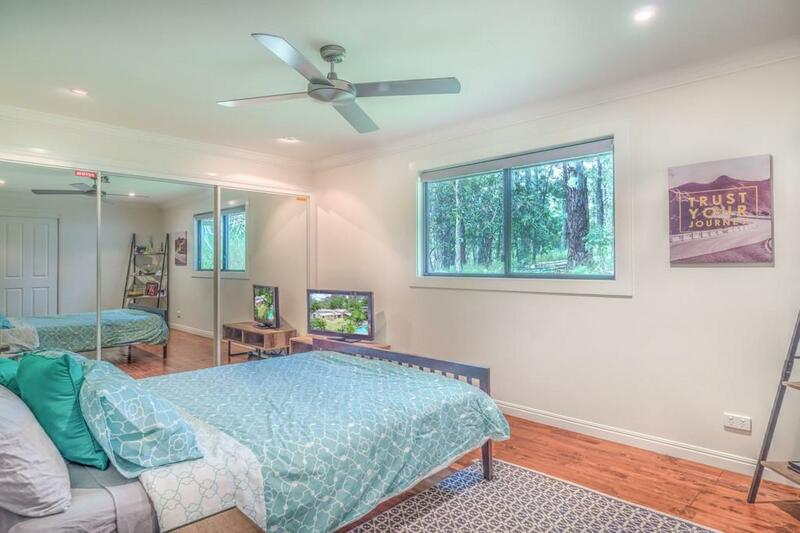 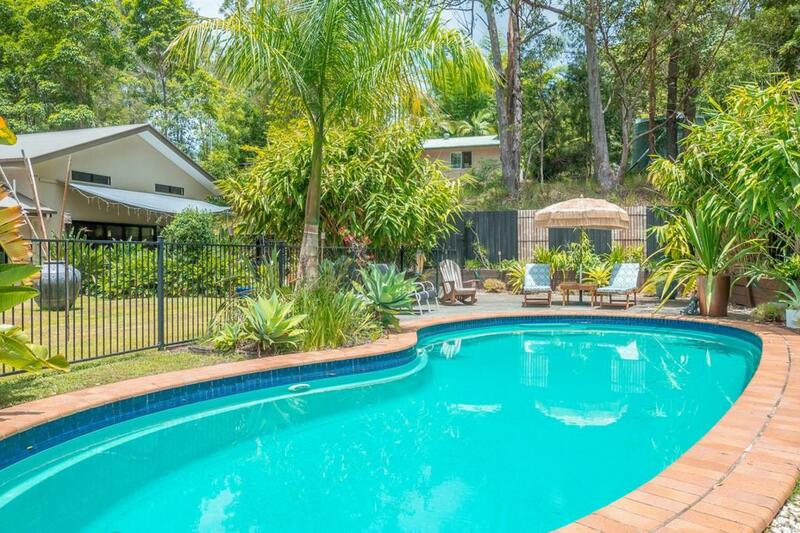 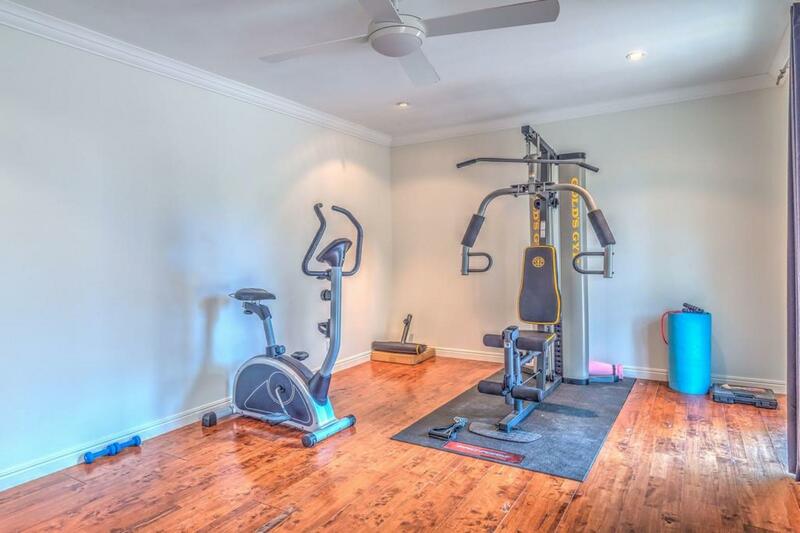 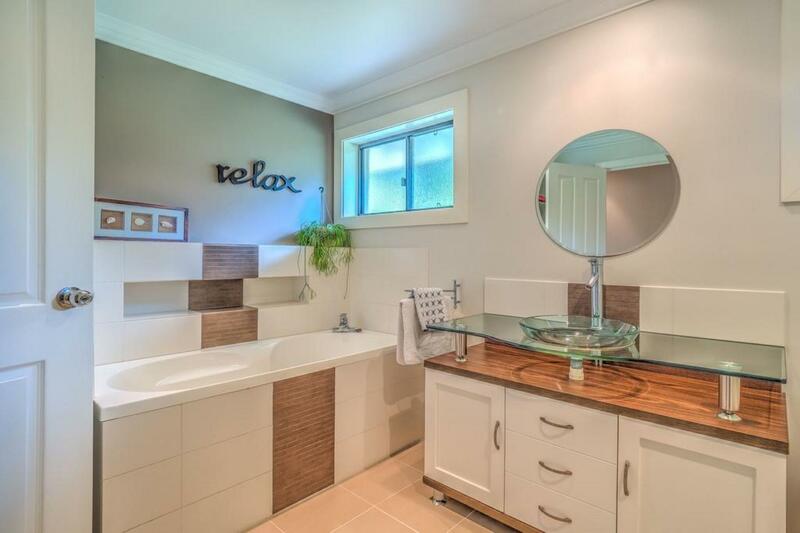 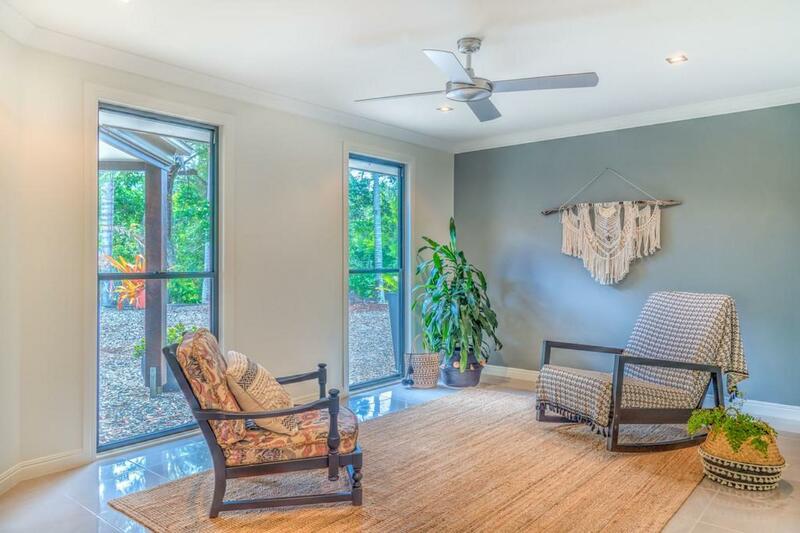 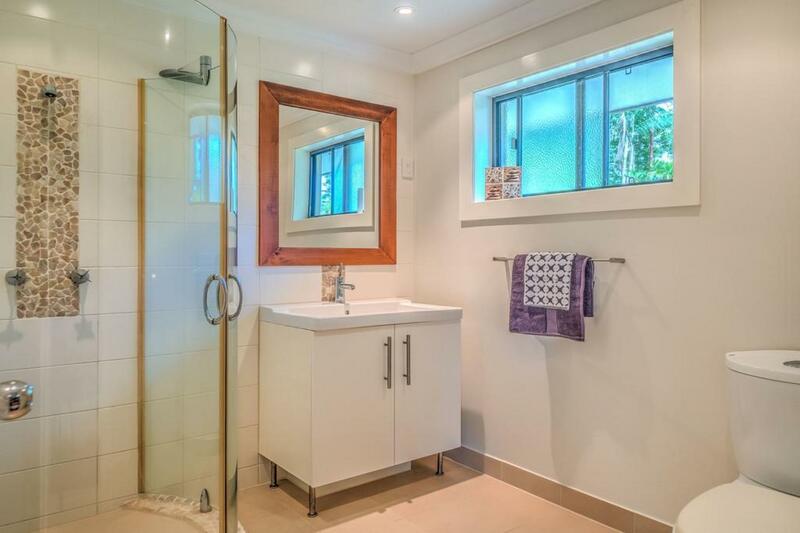 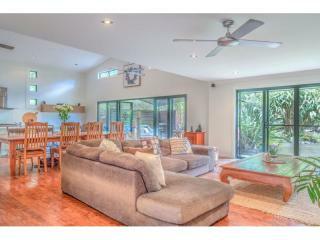 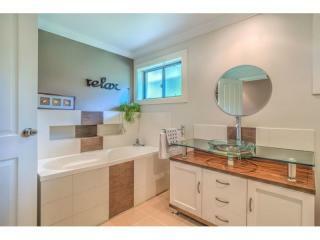 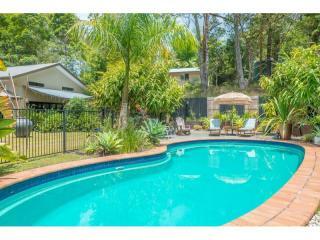 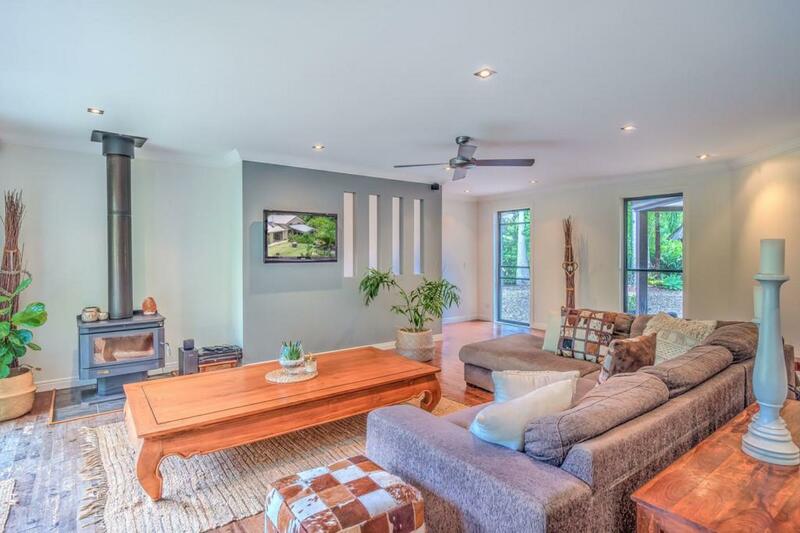 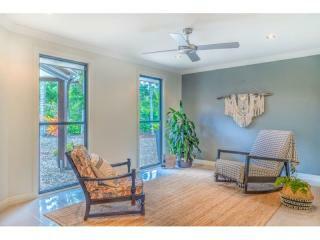 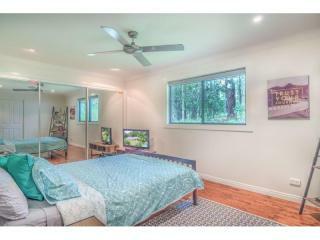 The single level rendered home has plenty of room for everyone with a terrific layout and that indoor outdoor flow. 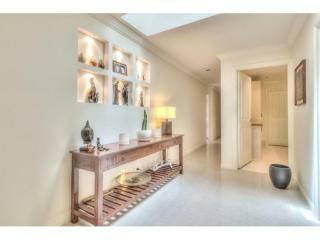 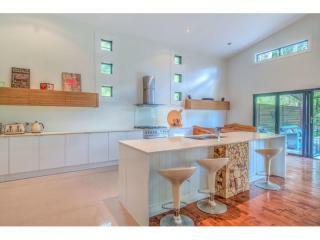 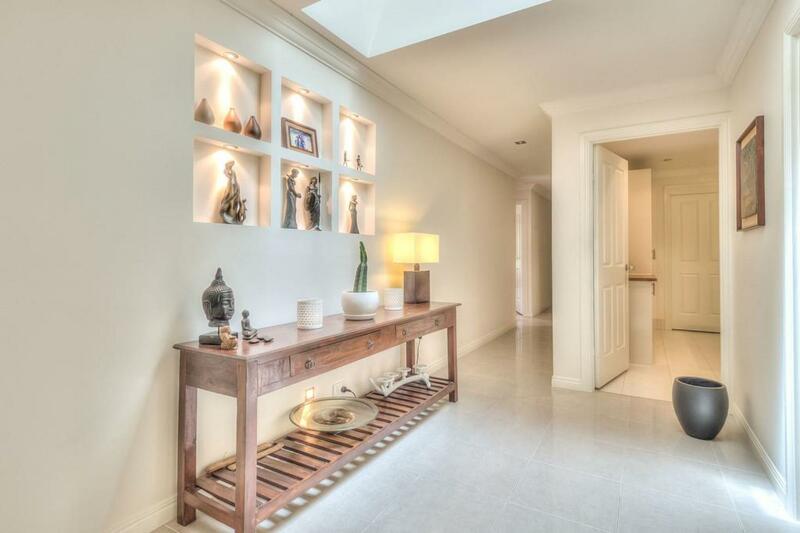 Generous spaces and soaring ceilings in the open plan living with loads of natural light. 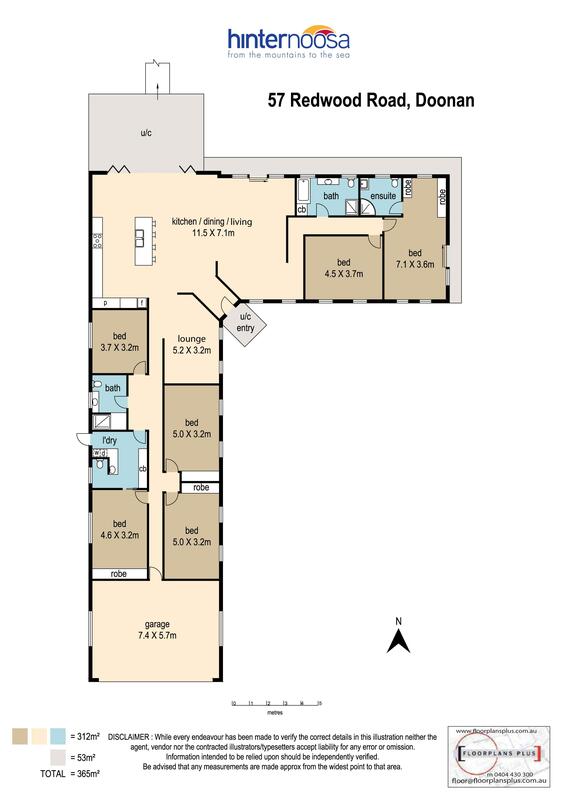 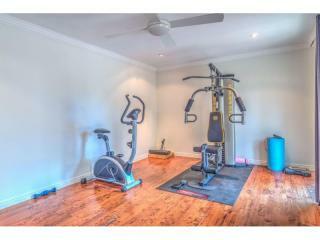 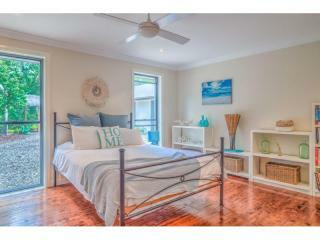 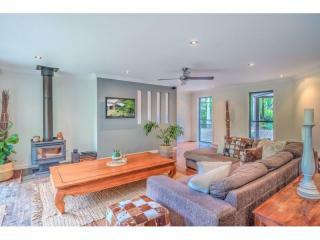 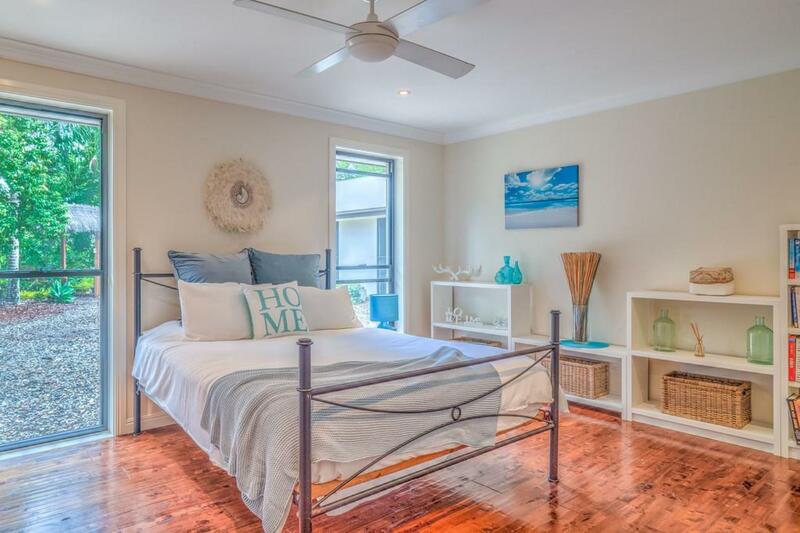 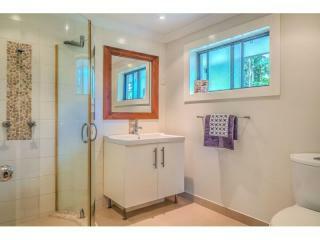 All rooms are generous in size and the clever floor plan is designed for there to be two different wings to the home. 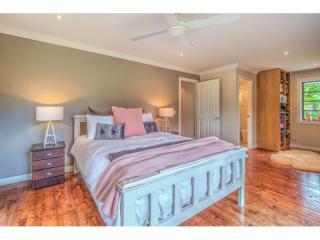 Up one end of the house is the main bedroom with ensuite and 6th bedroom/home office plus a decadent full bathroom too. 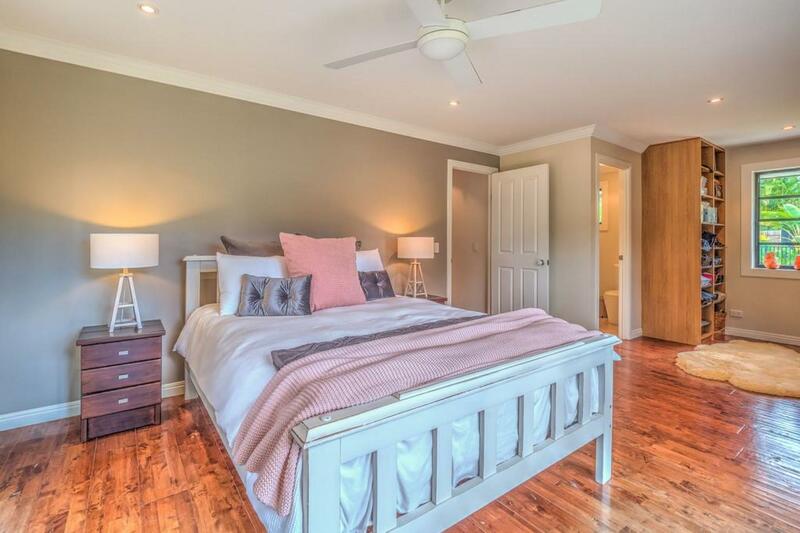 The second wing houses the remaining four bedrooms, a third full bathroom, plus a powder room and the laundry. 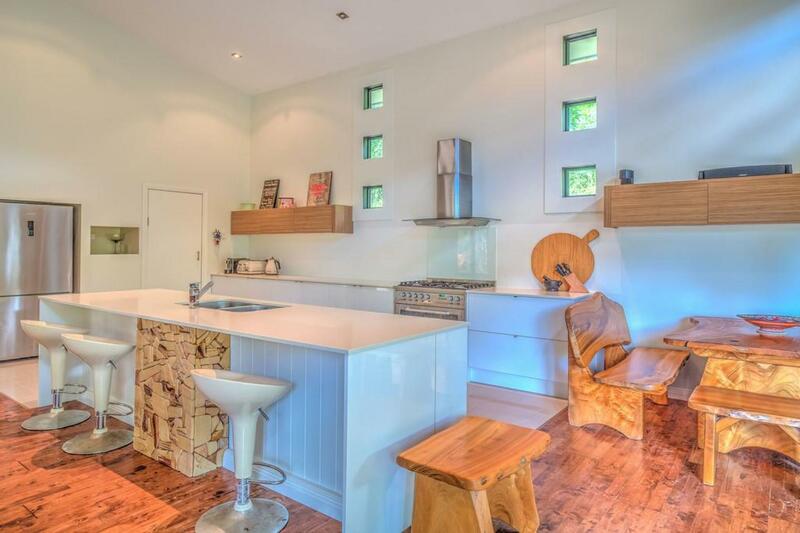 At the heart of the home is the amazing free flowing kitchen with clean uncluttered lines and a central island bench with waterfall edges. 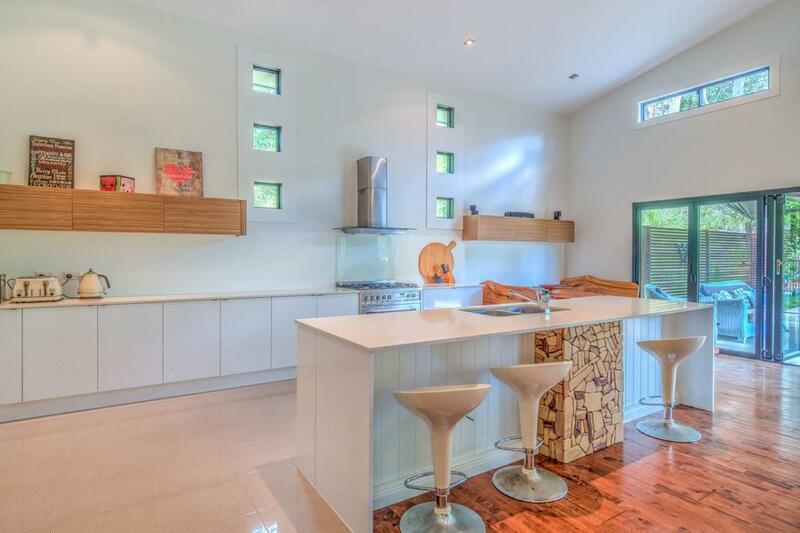 Heaps of storage and must have 900mm stainless steel gas/elect cooker will help to get the creative juices flowing. 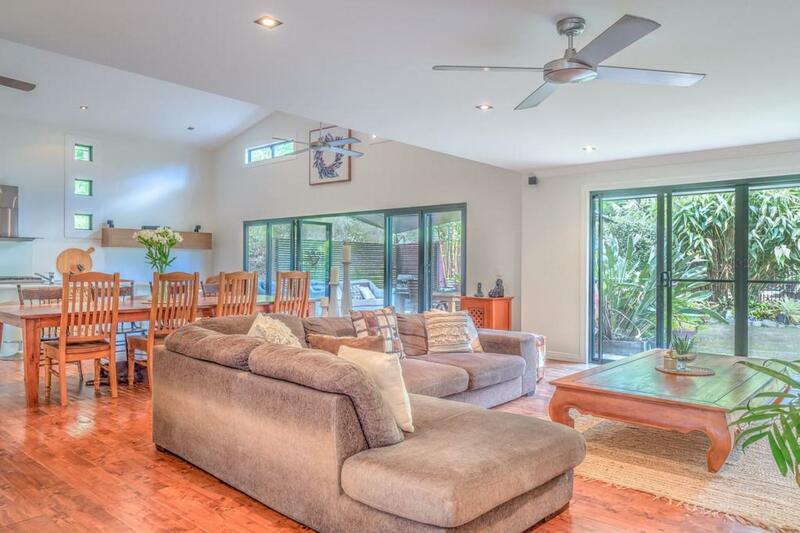 Large open plan living/dining here too with character distressed timber on the floors and big glass bi fold doors that connect to the outdoor entertaining area. 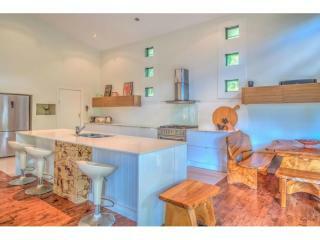 There's also another lounge area in the kids wing of the house.